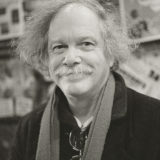 Edward Sanders is a poet, historian and composer. His recently published book, illustrated by Rick Veitch, is “Broken Glory, the Final Years of Robert Kennedy,” published by Arcade Publishers. He has a degree in ancient Greek from New York University. His manifesto, “Investigative Poetry,” has inspired several book-length biographies in verse, including Chekhov, a Biogaphy in Verse, and The Poetry & Life of Allen Ginsberg. Other Sanders’ books include Tales of Beatnik Glory (4 volumes published in a single edition), 1968, a History in Verse; and The Family, a history of the Charles Manson murder group. His 1987 collection, Thirsting for Peace in a Raging Century, won an American Book Award. His selected poems, 1986-2008, Let’s Not Keep Fighting the Trojan War, was published by Coffee House Press. He has received a Guggenheim fellowship in poetry, a National Endowment for the Arts fellowship in verse, an American Book Award for his collected poems, a 2012 PEN-Oakland Josephine Miles Prize, and other awards for his writing. Sanders was the founder of the satiric folk/rock group, The Fugs, which has released many albums and CDs during its nearly 50-year history. His book on the Manson group, The Family, is under option to be made into a movie. Filming began in March of 2018. He lives in Woodstock, New York with his wife, the essayist and painter Miriam Sanders, and both are active in environmental and other social issues.